Inspiration card for July 25. Well it's been a few days since I have posted anything on my blog, I was kinda wist away by my husband unexpectedly.....a couple of times. I finished my parents 50th wedding anniversary celebration party, it went very well. Turned out closer to a wedding than an anniversary but it was wonderful. They enjoyed themselves a lot. When that was finished I was home for like a day then we went away to relatives for a couple days to the lake. Then unexpectedly came home and gone again the next day to visit my sister-in-laws at her new place in southern British Columbia. We took a day away for our 25th wedding anniversary, stayed at a beautiful little hotel, went out for a wonderful supper, walked on the boardwalk, had a glass of wine on the marina. It was truly a wonderful way to spend an anniversary with a man that is the love of my life and my soul mate. Well now that I have given you the low down on my last couple of weeks I'll get to the card that I just finished. 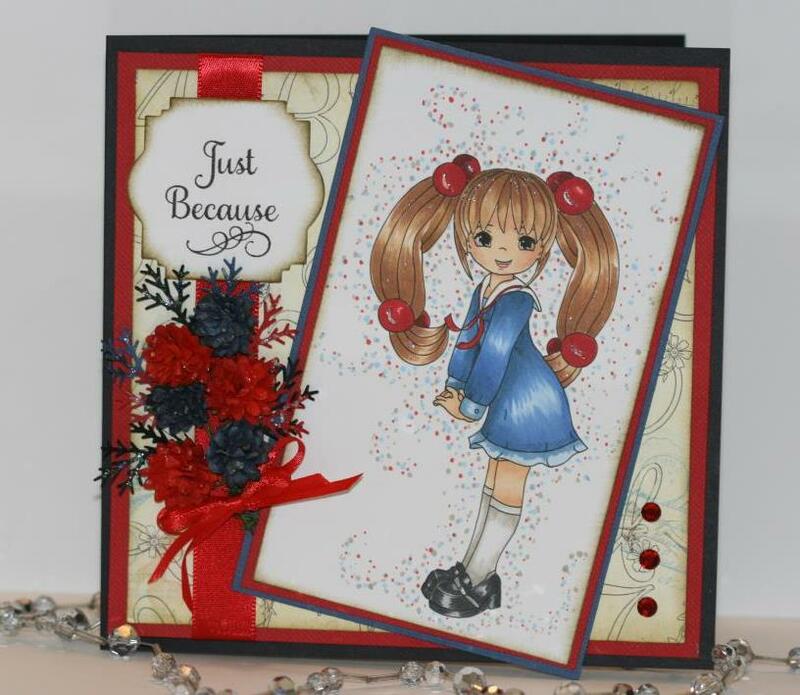 This is a wonderful image from Whimsy Stamps called Megan school girl created by designer Scrappers Delight. Such a cute image and fun to create with, although school does not start here for a little better than a month. a closer look at part of the image. The sentiment is a new package that I found while I was gone the other day from Just Rite. 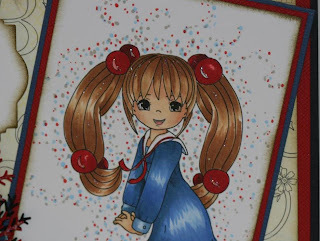 supplies: copic markers, Bazzill cardstock, Spellbinder Twenty-two, Just Rite - large fancy sentiments, miscellaneous flowers, Offray ribbon, Bo Bunny gems, Martha Stewart branch punch. Have a simply fabulous day! A fabulous card and a wonderfully coloured image. 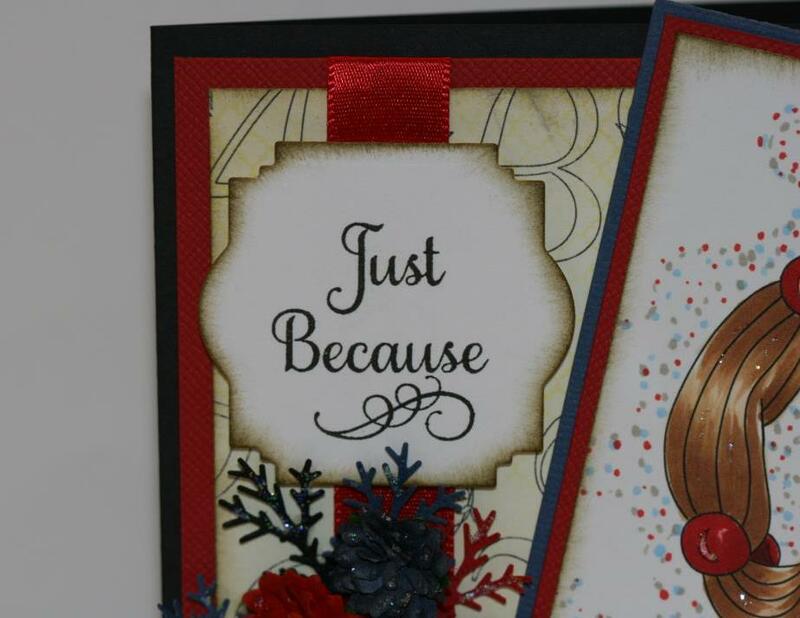 Thanks for sharing your card with us, very nice, love the image, and the colors are wonderful. So glad you back crafting! Awesome job!